We had a great community meeting last Friday, talking about three of our tools: the Breathing Tool, Listening Tool, and the Quiet Safe Place Tool. These tools are inside of us and we use them to focus, relax, calm down and/or listen. At the beginning of the community meeting, one of our third graders played piano while classes entered and settled down at the beginning of the community meeting. It was wonderful to celebrate a student’s talent! Be sure to check out the video of it on the Oxford Facebook page. And at the end of the meeting, second grade teacher Mr. Della Penna led us in two songs, allowing us to sing together. It was a really fun and special community meeting. Please mark your calendar that there is no school for students on Monday, October 9. Staff will be participating in district-wide professional development: social emotional learning in the morning and literacy in the afternoon. No one will be at Oxford, so don’t drop off your child! And we appreciate that students want to share some of their home treasures, various toys and Pokémon cards, but please have them leave those items at home. (You might want to check the backpack, too.) They are distracting, and problems arise when kids share, trade, borrow, and give them away. Sometimes they disappear. Students can bring special items if a teacher or staff member has a special time in class or something arranged with students. Otherwise, the toys and cards should stay home. Thanks for your support. Have a great week, and thanks for all you do for Oxford Elementary! PTA meeting on September 28 at 6pm in the Oxford Cafetorium. Bring a potluck dish if you can, or come to enjoy PTA-supplied pizza. Childcare will be provided! We will be getting to know one another and talking about upcoming fundraising and community-building events, including the Harvest Fair, the all-new Walkathon, and more! We will also be selling T-shirts and signing people up for the Community Directory/Membership Toolkit and PTA! 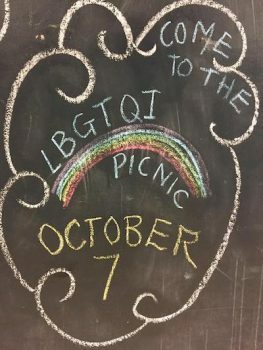 LGBTQI Picnic on Saturday October 7, 2—4 pm, at Shorebird Park playground. We will connect to strengthen our community at Oxford and brainstorm some ideas for Pride and upcoming school year activities. If anyone in your family (parents, kids, grandparents) identifies as LGBTQI or as non-binary, please join us! Drinks will be provided. Please bring a snack to share. 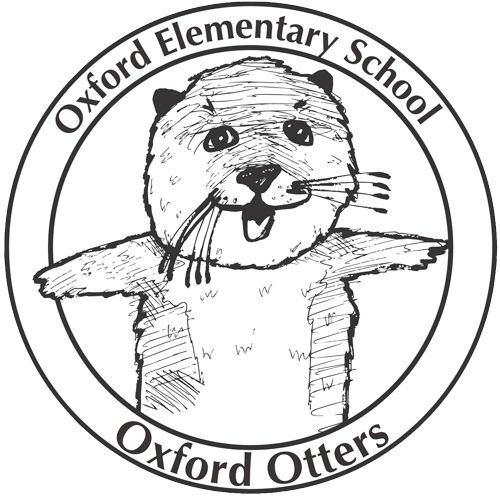 A listserv has been created for discussion; to subscribe please email: pride+subscribe@oxfordelementary.org. We’ve exceeded our goal and raised close to $30,000—Great job, Otters!! While it’s only a portion of our annual PTA budget of $140,000, we’re off to a strong start to continue funding art, instructional aides, the math coach, PE and all the great programs so essential to our kids that are paid for by the PTA. Woot! Woot! Sign up for the Community Directory! Sign up online today! This is a great tool for families and will really help out the classroom coordinators. Let’s continue to strengthen the Oxford community! You can find the link at the top of the school website (oxfordelementary.org), or go directly to oxfordpta.membershiptoolkit.com. Feel free to email questions to Suzy Chaos, PTA Volunteer Coordinator, at directory@oxfordelementary.org. The Berkeley school district (BUSD) funds music in 1st–5th grade at Oxford, using school district BSEP funds. Once a week, students in 1st through 3rd get music with Ms. Lubalin, playing different music games, learning about and playing instruments, and practicing rhythms. Third graders also learn to play the recorder with Ms. Lubalin. On Tuesdays and Fridays, a group of BUSD music teachers arrive at Oxford and the 4th and 5th grade students are broken up into small groups to have music instruction. At the end of the year, we have a music concert to celebrate and show all they have learned! Because BUSD doesn’t fund music for kindergarten, the Oxford PTA has made an effort to bring dance to students in kindergarten. Our kinders will participate in a 10- or 12-week dance program with Kimberly Lloyd, an amazing dance instructor and Oxford parent. Our kinders will also perform at the end of their dance session, hopefully in December. Big thanks to the PTA for bringing dance to Oxford! Oxford is partnering with TeaSchoolDays once again to raise money for our school. How? From October 9 to 16, we shop at TeaSchoolDays.com and get 15% off all the Tea Collection clothing, plus TeaSchoolDays will donate another 15% of our sales to Oxford. Please shop and give if you can! From October 9—16, go to TeaSchoolDays.com (not TeaCollection.com). Log in or create an account with Tea. Enter the site, and you will see that all Tea Collection items (excluding non-Tea merchandise or Tea clothing sets) have been marked down 15%, special for School Days participants. Add items to your cart and proceed to checkout. You will be prompted to enter Oxford’s promo code SDF17OXFORD and hit “apply my code”. Once the code is applied, Oxford will receive 15% back of the final order total before tax and shipping, for each purchase using this code. Choose “6–10 business day shipping” for free shipping! Please note that orders placed without this code cannot be adjusted. If you drive your child(ren) to school in the morning, please think of a.) the safety of your child(ren) and the safety of others; b.) the impact of your actions on other drivers. Doing a 4-point turn in the middle of Oxford Street—it happens frequently!—is unsafe for all involved and holds up the flow of traffic. Let’s be safe, and let’s let traffic fffflllooowww. Prefer to read this by email? You can! Subscribe to the e-newsletter on this website—look for “Manage Subscriptions” in the sidebar. Join SiPwiK (Single Parents with Kids)!